Key Difference: Nouns name people, place and things. There are many different classes of nouns. A noun can belong to more than one class. Noun is an important part of speech which is used to name a thing, person, place or abstract idea. 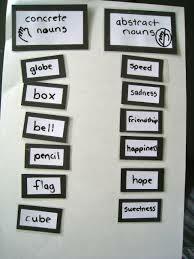 Small children get familiar with nouns as their first words usually. Proper nouns deal with specific person, thing or place. Proper noun’s first letter is always capitalized. For example – I was born in Mexico. Sandra is my best friend. Common nouns are used for naming a general person, place or thing. The first letter of common nouns is only capital if it is the one which is starting the sentence or is part of a title. For example – I was born in a city. That girl is my best friend. Concrete and Abstract noun- This is the classification based on the five senses. Concrete nouns can be sensed in any way like – one can see, smell, taste, hear or feel the entity. For example – I like this book – In this sentence book is a concrete noun as one can see, smell and feel it. This apple is really tasty – Apple can be tasted, touched, felt, etc, and therefore it falls into the category of concrete nouns. Abstract nouns – This noun is used to name an entity which cannot be registered by the senses. For example – Grammar is important to learn. – Here grammar is something which cannot be felt or registered by the senses in some way. Her kindness will always be remembered – again it falls into the category of entities which are considered apart from the object to which it belongs. Countable and Non-countable nouns – Based on the grammatical distinction, nouns are also classified into countable or uncountable. Countable nouns – As its name signifies, it is used for naming an entity which can be counted. This noun has both a singular and a plural form. Non-countable nouns are just the opposite of countable ones. These nouns deal with entities which cannot be measured or counted. It does not have any plural form. They are considered as whole instead of parts. For example – What about the money? In this sentence money is an uncountable noun and therefore has no plural form. Collective Nouns – These nouns are used for naming a group or collection of things, persons or animals. One can easily count the number of members forming the group, but still the group is considered altogether as one unit. For example – The jury was not happy at all. The election committee reviewed the action plan. Jury and committee do not represent any individual entity; rather they are composed of some individual countable members. 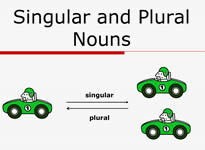 Singular and Plural – It is used to name a single person, place or thing. Man and street, both are singular nouns as referring to one entity each. For example – Three men robbed the bank. In this sentence, the subject is more than one, and therefore men is a plural noun. Masculine – Noun which is used for referring to a male member or character of a species like – boy, king, horse, actor, etc. Feminine – This noun represents refers to a female character or member of a species like – woman, girl, actress, etc. Common – This is used to name a member from the species which can wither be male or female. For example – child, baby, servant, member, etc. Neuter- It is used to name a member of a species which does not fall in wither of the categories of male or female. Usually, it represents lifeless objects like tree, chair, table , sunglass, school , etc.